These versatile, breathable training shorts are perfect for everyday wear and durable enough for a pick-up game after work. 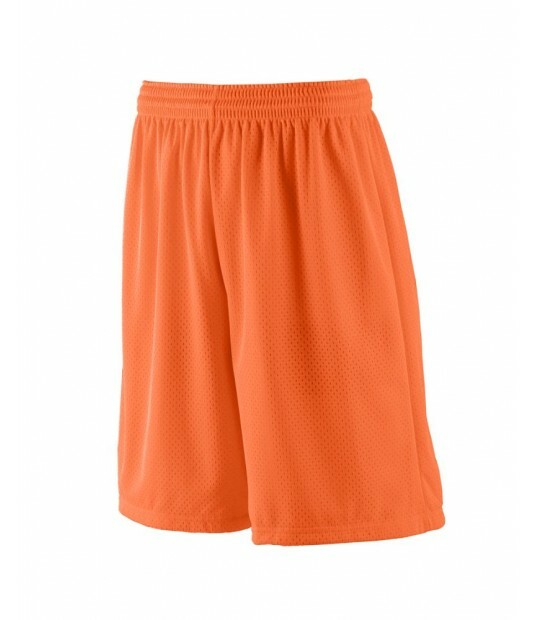 Made of 100% polyester mesh, our BOYS' LONG TRICOT MESH SHORT/TRICOT LINED stand the test of time and are reinforced with a double-needle hemmed bottom for extra durability. The elastic waistband and inner draw cord ensure security and comfort for your active lifestyle. Anything but basic, these classic lacrosse shorts feature a 9-inch inseam and full-cut legs for comfortable full range of motion. Available in 11 colors, these lacrosse shorts youth are customizable to your individual fitness style or to match your team colors. Also available in Men's sizes.